Get ready for some frank talk about indoor herbs. Those mason jar planters you saw online are adorable, yes, but are they the best way to grow herbs indoors? This article will give you a healthy dose of realistic expectations for indoor herbs and the knowledge to create beautiful indoor herb gardens that will survive and THRIVE. Plants suited for indoors can generally adapt to less light, drier air, and a lack of wind. Most herbs love the sun and even a bright window won’t give them quite as much as they would like. This means that the plants will grow leggy, reaching for the sun. Then why on earth would I ever create an indoor herb garden?! 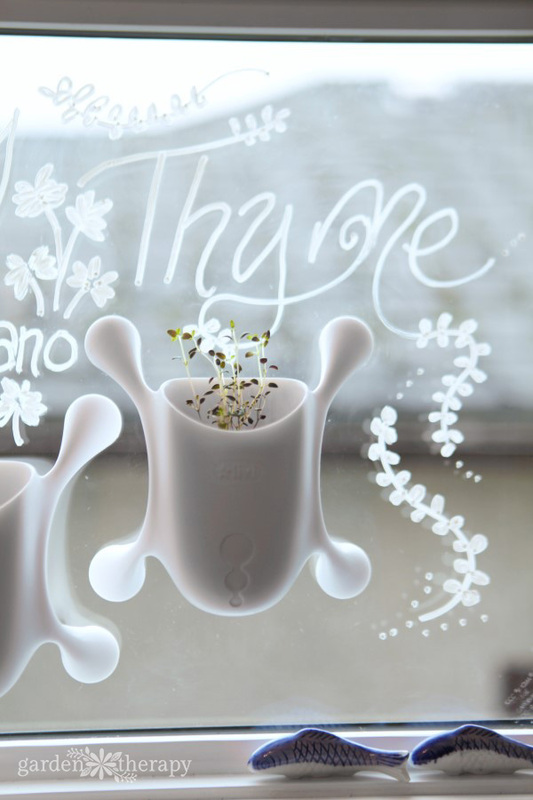 Well, herbs are also edible plants, which makes any container design that features them fluid. The herbs will be harvested as they grow tall (or long) reaching for light. 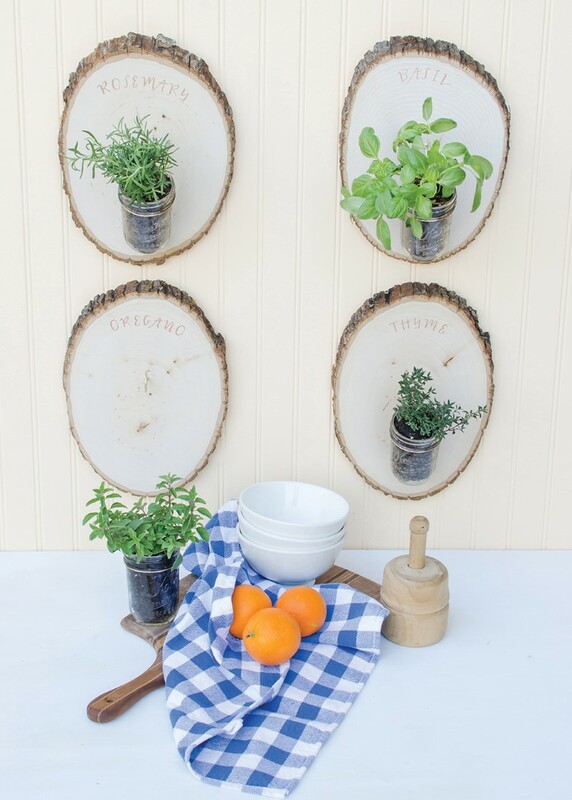 As the herbs grow and are clipped, it keeps the container garden neat and useful. 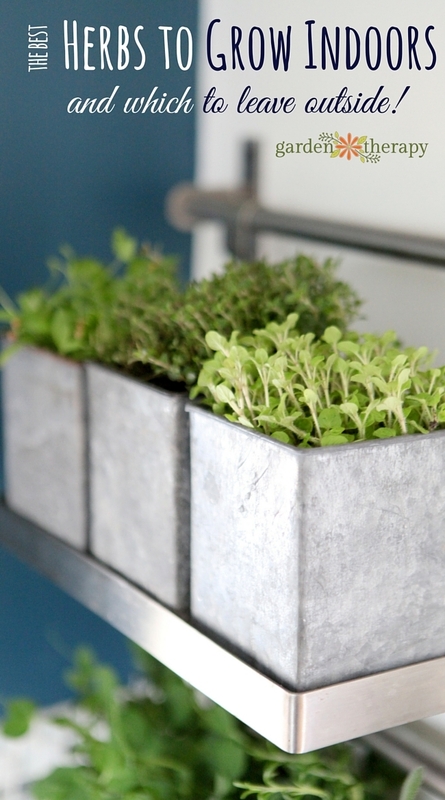 Create realistic expectations for your indoor herb garden. 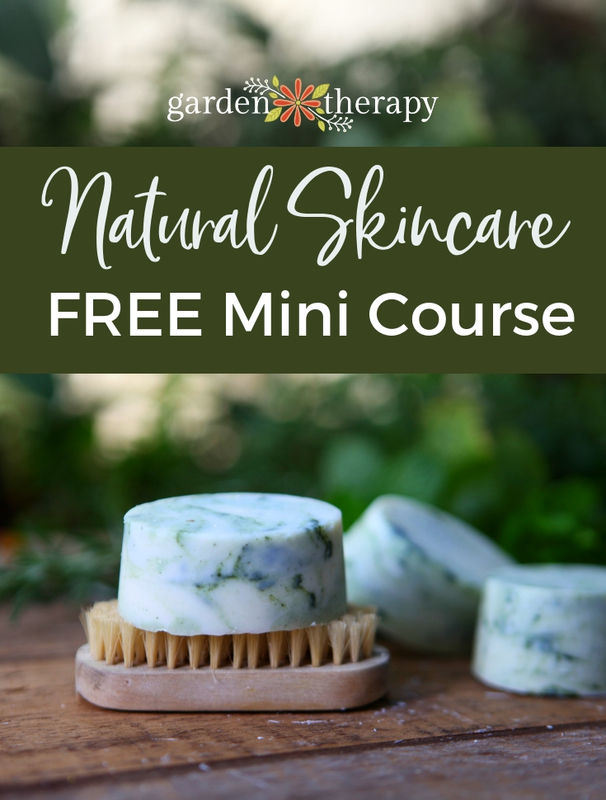 The herbs won’t produce as much as they would outdoors in the proper conditions. They will also not recover as well from harvesting. 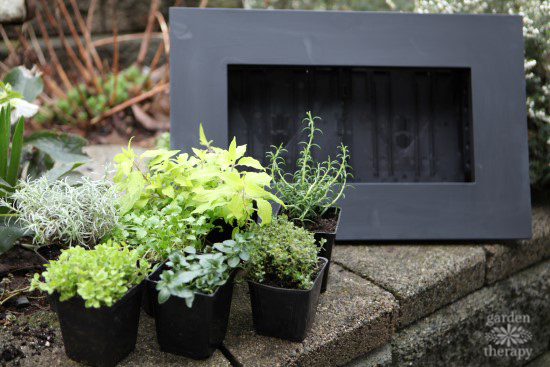 An indoor herb garden will require that the plants be replaced if they start to look scraggly. 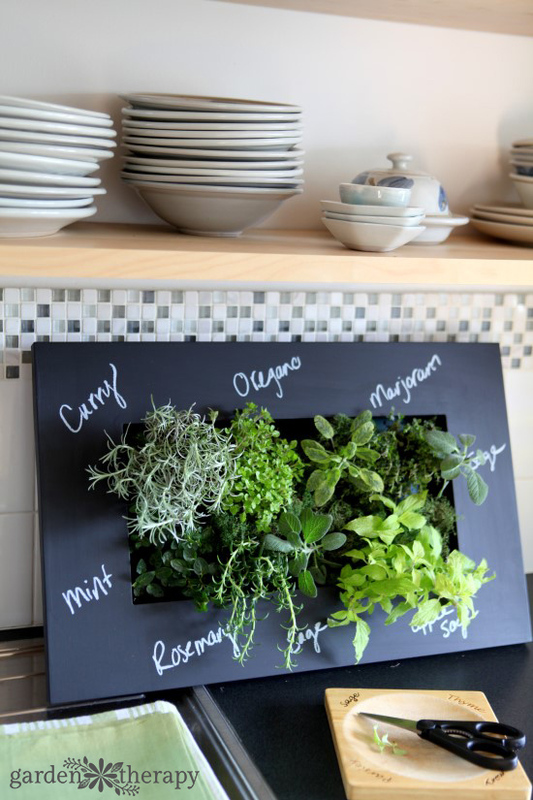 There is more maintenance involved but it is certainly worth it if you expect that your indoor herb garden is part herb garden and part art feature. Some projects are just worth the effort. This herb garden is such a show feature in my kitchen that I think it’s well worth the maintenance. Indoor potting soil will keep the critters—like those pesky soil gnats—away. Use a liquid organic fertilizer when watering, as the soil doesn’t have the same nutrition as it would outdoors. Place the garden in the brightest spot you have, keeping in mind that hot, direct sun can be amplified though a window. Adequate drainage is important for healthy herbs. Planting herbs in mason jars may look pretty, but it’s a pretty sure bet those plants won’t last long. The soil needs proper drainage so that the roots don’t stay wet and rot. 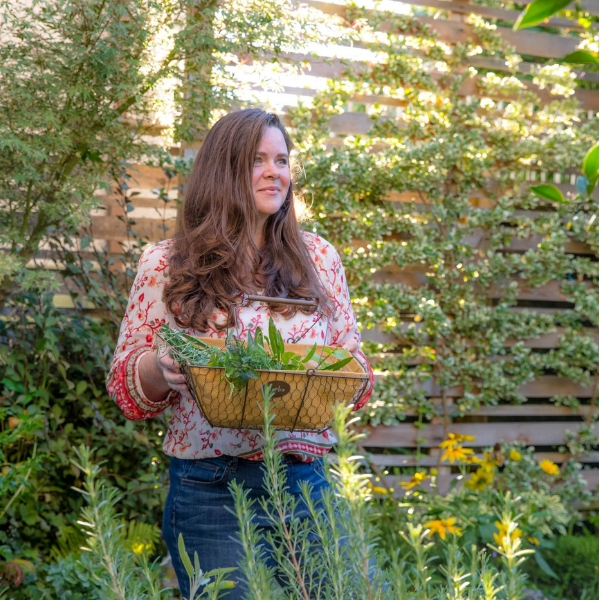 If you are planting herbs in mason jars or other containers that don’t drain, it’s best to think of them as temporary decorative arrangements as opposed to a functioning garden. Great! 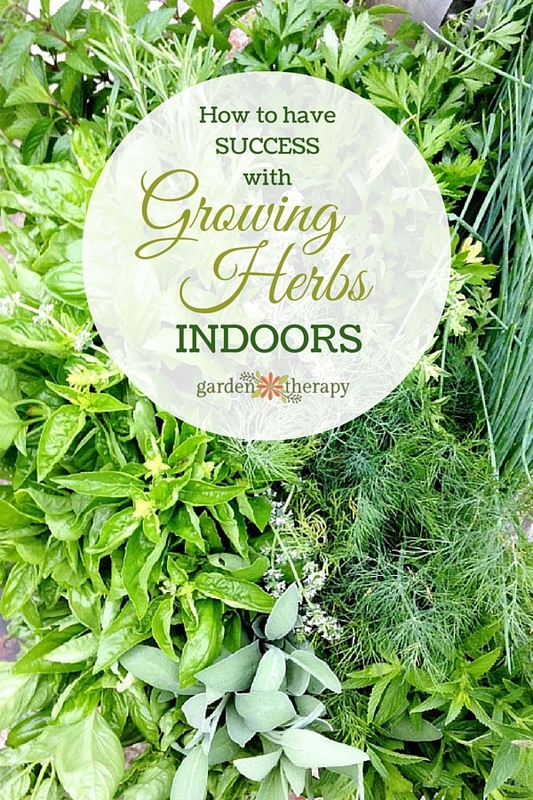 So now you know HOW to grow your herbs indoors and what to expect from them. Before you run out and grab your seeds, read about which herbs are BEST for indoors and those which are better left outside! Want to learn more about growing edible plants indoors? 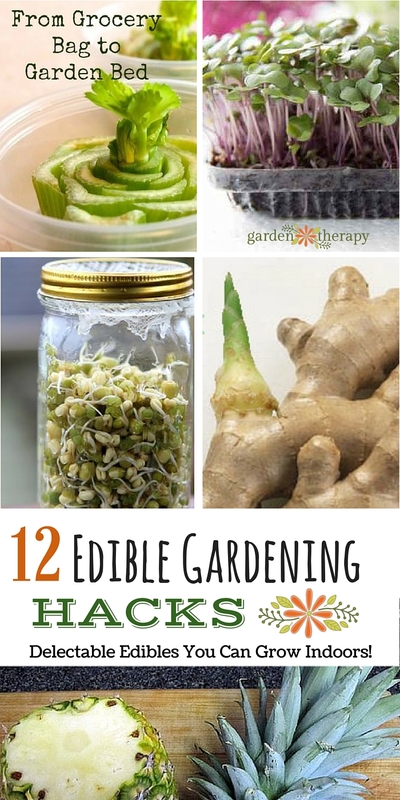 Check out this list of Edible Garden Hacks: Delectable Edibles You Can Grow Indoors!